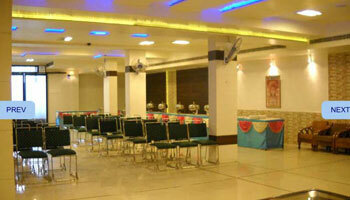 HOTEL RIYA PALACE that provides a luxurious stay and time to rejuvenate yourself in CITY OF TAJ Agra. Beautifully appointed lobby that greets you with gracious hospitality and personal service. An experience to cherish and memories to carry back home. Hotel Riya Palace in Agra has bright rooms with all amenities expected by today's travelers giving a combination of elegance and functional excellence. The facility is designed to meet the needs of corporate sector; We also provide round the clock room service and kitchen. In contrast to the city's urban atmosphere, you find you have reached a heaven of tranquility and residential comfort, with our staff's uncompromising service ensuring a smooth stay. Travel Counter, Parking, Breakfast Services, Laundry Facilities, Airport Transportation, Room Service, Backup Generator, Currency Exchange, Security Guard, Doctor on Call. Toothbrush/Razor on Request, Cable/Satellite TV, Attached Bathroom, H/C Water, Air Conditioning Room, DVD Player, Iron/Ironing Board, House Keeping, Wakeup Calls.